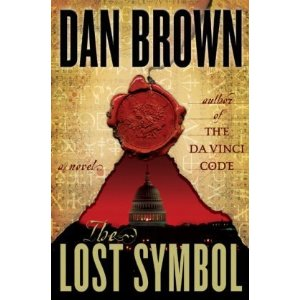 Another fast paced Robert Langdon novel by Dan Brown. This time the focus is on Washington DC and Freemasonry. Professor Langdon produces under pressure and threat once more to solve every clue and symbol put before him. The life of a close friend, Peter Solomon, is in jeopardy and Robert works overtime in a pursuit all over the District to find the need clues that would save him. The perpetrator is ruthless and someone with a major grudge against Peter who is wealthy and a major leader in the Masonic lodge. The participants in this scenario include major players from the Intelligence community, politics, the police, religious leaders, and prominent masons. Peter’s sister who is a major scientist on the brink of a major break through is also involved and in danger. Of course there are several twists and turns in the story that keep you on your toes and begging for more. At one point Langdon is even killed? The evil terrorist/bad guy in the book is chilling to the bone to say the least and his origins are surprising. The inter workings of several government agencies also lend an interesting backdrop to the whole affair. The parade through Washington DC’s famous buildings, monuments, and artifacts that have some kind of Masonic tie is interesting. This will probably increase the tourist trade at the Capitol seeking out the particular symbols and landmarks portrayed in the book. Folks will now want to take a second look at the famous painting- “The Apotheosis of Washington” in the rotunda of the Capitol building and maybe gander at any visible symbols on Washington’s Monument. 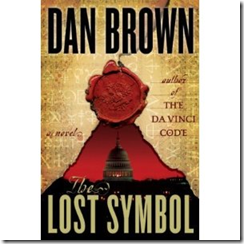 Christians will find this novel to be far more comfortable than the last two since the focus is on Freemasonry. However there is a prevailing view supported in the novel that there are hidden ancient secrets yet to be revealed that will take humanity to another level. Secrets that will also surpass any current scientific, philosophical, and religious understandings and render all traditional religions like Christianity as passe’.